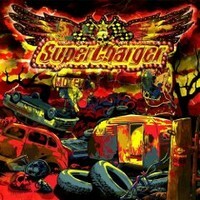 Danish hard rockers SuperChargers debut album is called Handgrenade Blues, but even though you can hear the influence of blues the sound is as heavy as it can be. Quite an interesting sound. blues and heavy rock together. What a mix, what a difference from ordinary rock'n'roll. They are newcomers, but they have been touring Europe with their pounding heavy rock and blues music, and they do it with an attitude not to be mistaken. Best songs are Borderline, Shame Baby, Hell Motel, Lets Roll and the title track Handgrenade Blues. A sound not heard so often, but I can recommend it when you want to have an especially good time.